Redesign an obsolete website or start from scratch. Our team consists of a talented group of web developers, web designers, graphic artists, content writers and resident SEO experts that deliver each completed job with pride. We build effective online marketing strategies to fit any budget. With a focus on our client’s return on investment, we define ourselves by the value and exceptional service we provide. Create an identity, launch a website, sell some stuff. We don’t just build websites – we create unique brands and content strategies. Need to refresh a tired look or bring a new brand to the forefront? We’ll help invent or reinvent your corporate identity and connect your company with new revenue opportunities. Professionally designed websites will generate more search traffic and convert shoppers into buyers, all while communicating your company’s core strengths and competitive advantages. Studies have shown that over 80% of consumers begin shopping online before making an important buying decision on a product or service. That’s why, whether you’re a national brand or startup, sound business strategies always include an online component. Yes, every web developer says they “do SEO”. Even while there are numerous claims from so-called experts, few developers possess real knowledge, and proof is in their website’s own rankings. We have a proven track record of helping companies rank in top positions, even among the most competitive industries and marketplaces. A website without SEO is a waste of cyberspace. You never know what browser or device a potential customer will use to visit your website. It’s important to make sure your site performs well across all browsers, and to consider how it looks and operates on a mobile device. 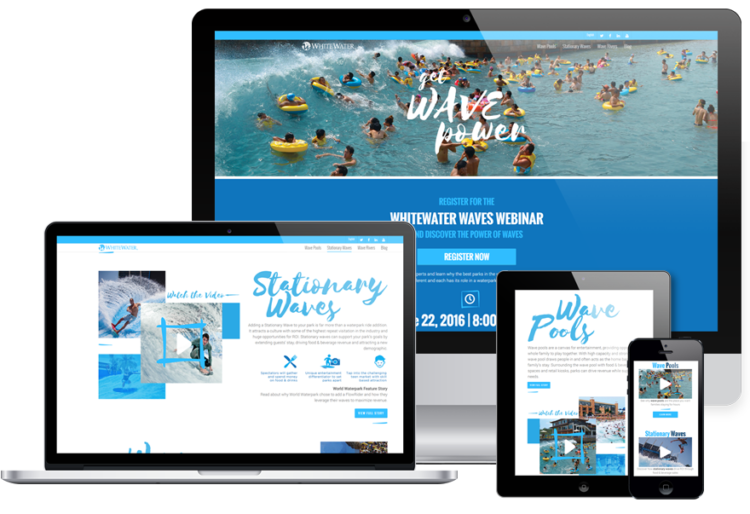 All of our websites are responsive, designed using the latest technology and thoroughly tested on multiple browser platforms prior to launch. With years of experience in the digital world, we create websites that are truly unique for each of our client’s brands and messaging – we don’t do cookie-cutter, one-size-fits-all knock-offs. Creatively designed and innovative websites are only the start to improving your online business. Crafting website content and functionality will maximize conversions and ultimately your bottom line. Whether you’re a startup or multi-million dollar organization, we’re up for anything.